You’ve had a hard day at work and finally got to the gym. Your Spotify playlist is selected and you’re ready to hit a juicy chest session, but halfway through you realise you’ve got nothing in the fridge for your postworkout meal, not even a pot noodle in the cupboard, disaster. Hmm, you think ‘shall I just be lazy and go for a cheeky Nando’s or shall I make something at home, save some pennies to buy some more supplements?! As cheeky as you are, and as much as those Piri-Piri fries are calling your name you take the second option and make a trip the local supermarket instead, but what should you make? 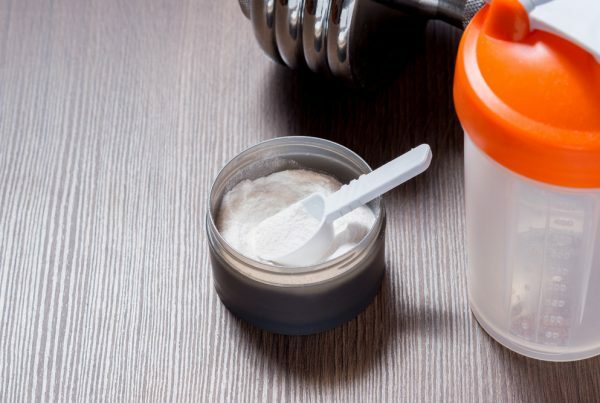 What’s the best pre-workout meal? You contemplate turning around and heading back for that butterfly chicken, but then you realise THE PROTEIN WORKS™ has your back with their best postworkout meal article, full of what foods you should be eating postworkout and easy to prepare nutrient packed meals. What a time it is to be alive!!! 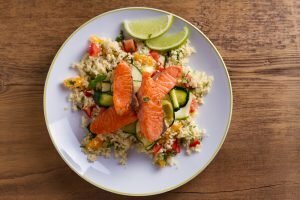 What foods should I eat post-workout? How many carbohydrates are in what? 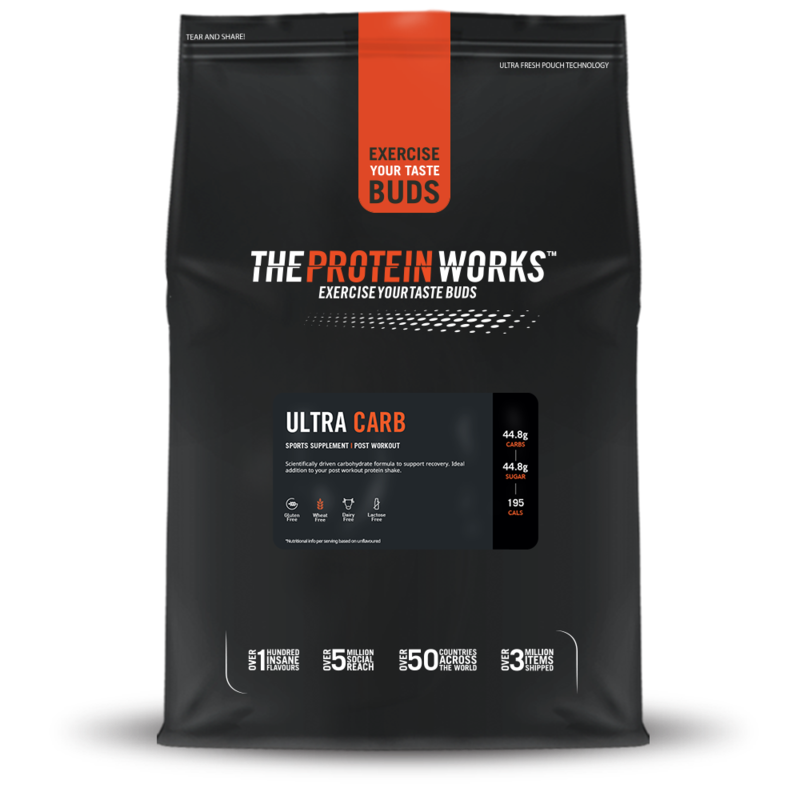 As well as being fueled on pre-workout and creatine your body uses up its stores of carbohydrates, proteins and fats to create energy during your workouts(Keswick et al. 2018) This results in your muscles becoming depleted of glycogen, which over time has been found to result in muscle wastage (Ørtenblad, et al. 2013) Not something muscle building aficionados want to hear. Anyway, we must replenish these glycogen levels as quickly as possible, to make sure our body has the best possible chance of rebuilding and replenishing ready for the next session. The timing of your postworkout meal really matters too. You don’t need to be setting an alarm for when you should eat, but experts say that eating your postworkout meal should be within 45 minutes of finishing your workout. The reason for this is simply due to your body being in it’s most absorbable state after exercising, and your body’s ability to rebuild its glycogen and protein stores is greatly enhanced (Aragon and Schoenfield, 2013). It’s been reported that delaying your postworkout meal by as little as 2 hours can lead to as much as 50% lower rates of glycogen synthesis (Poole et al. 2013), so get those oven mitts on and get cooking ASAP Rocky. However, if consuming a meal before exercising, it’s likely that the benefits will still apply after training (Tipton et al. 2001), but nobody wants to be squatting with a full belly of chilli. Been there, done that, and never again. What foods should you eat postworkout? There are three main foods you should be consuming post workout to maximise your gains and recovery. It’s really simple and taking it back to the basics can often be the best, easiest and most convenient way, especially if you’re training at night. The last thing you want to be doing is cooking up a full roast dinner with all the trimmings. Who doesn’t love a good roast, but you haven’t got time for that, you’ve saved some pennies today, it’s time to treat yourself to some loaded legend protein snacks. Anyway, which food should you be eating and why? You’ve guessed it. One of the most important supplements out the lot. You can find it everywhere. Even your favourite cereal and chocolate bars have ‘added protein’ in them, but it’s best to stay with pure protein powders for the very best results such as Whey Protein 80 Concentrate. Protein is the all-round muscle building beast for post-workout and is responsible for repairing micro-tears in muscles after taking part in any form of physical activity. Not only this but protein has been found to play a vital role in energy production, and maintaining our bones, cartilage, skin and even our blood. Studies have discovered that anyone who engages with intense training may benefit from about two times the ‘Recommended Daily Amount’, RDA for short, of protein in their diet (1.4 – 1.8g protein per KG of muscle mass) (Philips, 2014). Don’t take that as the gospel, because it really does vary from individual to individual. For example, someone who runs marathons requires more protein than someone who walks on the treadmill. Furthering this, a study performed by Bendagan et al. (2017) also discovered that athletes who engage with moderate exercise need 1.2–2.0 g/kg/day of protein (60–300 g/day for a 50–150 kg athlete) while athletes involved in high volume, intense training need 1.7–2.2 g/kg/day of protein (85–330 g/ day for a 50–150 kg athlete) for optimal protein synthesis and recovery. So get checking those food labels, going up for seconds may not be such a bad thing after all. 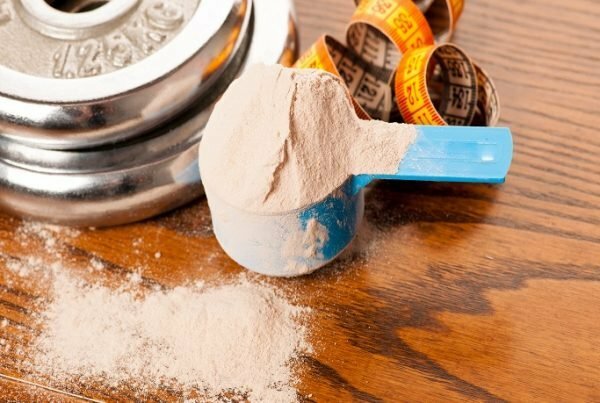 It’s important to understand how much protein is in what. We just like to save you time from doing the research yourself, we’re too kind like that. So here’s some examples of a breakdown of how much protein is in what, per 100g: we couldn’t write all of them so just chose the nations fav’s. Carbohydrates are the unsung hero of post workout. We’re often told to stay clear from the carbs, especially if you’re off to marbs and wanting to lose weight, but the fact is these are needed, and when eaten at the correct time in the correct quantities you won’t put on unwanted fat, so don’t be worrying about that. Carbohydrates are again found in everything, from veg to that greasy pizza you had last Saturday that you ‘forgot’ to tell your personal trainer about. Carbohydrates are essential, simple as that. They’re used for energy, not just the energy you output at the gym, but energy for your whole body to operate, from the beating of your heart to protein synthesis. As we’ve said above, when we work out our glycogen stores become depleted, by consuming carbohydrates, helps to replenish these glycogen stores quicker than anything else (Burke et al. 2011). If you don’t replenish these stores, you will, without doubt, feel tired, sluggish and sore the next day, which over time could actually result in muscle wastage and injury or illness too. Which could see all your hard work go to waste. Studies have shown us that those who take part in moderate intense exercise (2–3 h per day of intense exercise performed 5–6 times per week) typically need to consume a diet consisting of 5–8 g/kg/day or 250–1200 g/day for 50–150 kg athletes of carbohydrate to maintain muscle glycogen stores (burke et al. 2006 & Kersick et al. 2013). 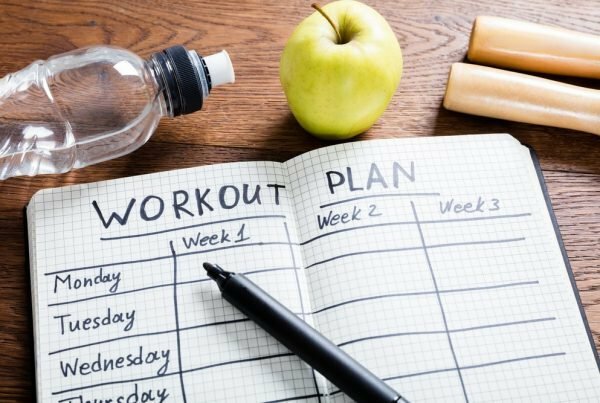 As you may be aware its important to measure and record what you’re doing at the gym, even if it is just a mental reminder in your brains checklist. So why wouldn’t you do this with food too? Making sure you get adequate amounts of nutrients will make sure you reach your goals easier and quicker than ever before. We’ve selected some of our favourite sources of carbs below, so you can pick and choose what you want to go into your post-workout meal. 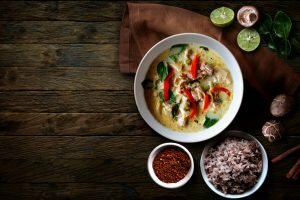 Spicy, Green and delicious, this Turkey Thai Curry is ideal Sunday night prep, the recipe below makes 2 portions but simply double or triple the ingredients to scale. Chopped up your Chicken and add to the pan for 8-10 minutes. Followed By your Onions and Bamboo shoots, cooking for a further 4 minutes. Add in your Soy Sauce and chicken stock. Cook for a further 5 minutes on a high heat. Once reduced, add in your Greek Yoghurt and stir in your Fresh Coriander. Fresh, vibrant and packed full of nutrition. This one will have your tastebuds and your muscles smiling through the day and night. Cook the couscous according to the package directions; rinse to cool. Combine the couscous, fennel, cucumber, shallot, lemon juice, 1 tablespoon of the oil, ½ teaspoon salt, and ¼ teaspoon pepper in a large bowl. Meanwhile, heat the remaining tablespoon of oil in a large non-stick skillet over medium-high heat. Season the salmon with ¼ teaspoon each salt and pepper and sprinkle with the fennel fronds. 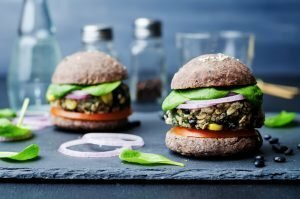 For the vegans – this black bean burger will take your cravings away and pack your body full of those all importnat postworkout nutrients. It also taste pretty amazing too. It’s like a holiday in your mouth. Delicious and very easy to make. Just take a look at those nutritionals and tell me you don’t want to try them. Combine chickpeas, garlic, onion, coriander, cumin, salt and pepper in medium bowl and add some flour. Mash the ingredients in a food processor until a thick paste forms. Put the mixture into small balls and flatten slightly. Fry five at a time in a small amountof oil until golden brown and serve hot. For the wraps, soften the courgette and red peppers in a little oil in a frying pan. 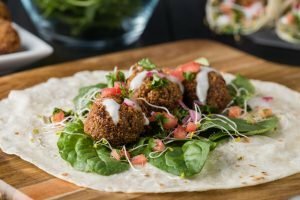 Place five or six falafels and the veg in the wrap, roll up and serve with hummus on the side. 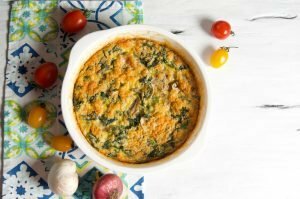 This veggie frittata epitomises the very best of nutrition. Jam packed full of all things healthy, with a generous dosage of incredible nutritionals too. Very simple and easy to make, makes it the perfect post-workout meal. Add the vegetables and cheese into a bowl and stir with a spoon to combine the ingredients. Crack the eggs into a separate bowl and whisk them. Mix the egg and vegetables together and season. Pour the mixture into an ovenproof dish and add some cheese and black pepper on top. Ørtenblad N, Westerblad H, Nielsen J. Muscle glycogen stores and fatigue. J Physiol. 2013;591(18):4405-13.